Fido & Me Fountain is a great way for dogs and their owners to quench their thirsts at the same time! 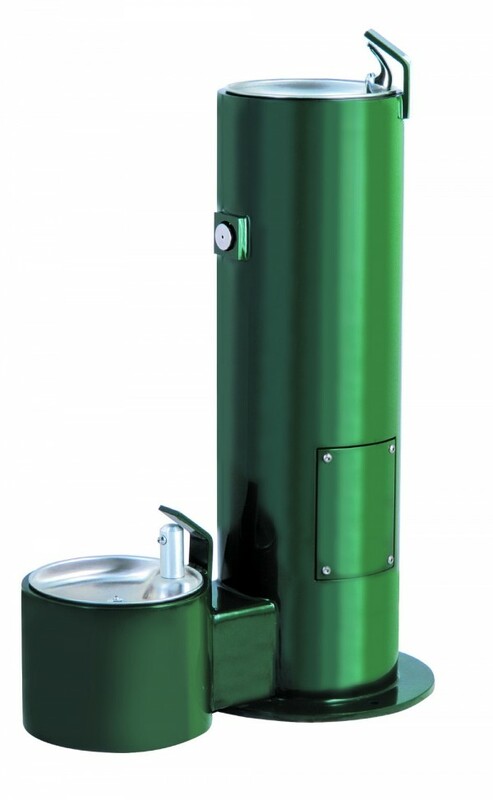 The dual fountains are available in a green powder-coated finish. It's the perfect addition to any dog park. 26" x 13" x 36"